Anyone working in the Business Tourism industry who wishes to communicate their views to educators and researchers specializing in this field. In today’s fast-paced business environment, it is generally agreed that innovation is a major prerequisite for the success, and perhaps even for the survival, of enterprises. Innovation drives growth and creates opportunities in new markets, as well as establishing and maintaining a vital competitive advantage. As a result, creativity and innovation are now moving to the top of the agenda for organizations around the world, and the business travel and business tourism industry is no exception. The business tourism – or MICE (meetings, incentive travel, conferences and exhibitions) - sector, as well as individual business travel, continue to survive and expand because innovative changes have helped them to adapt to developing trends and to add value to the businesses and organizations that are the clients of this industry. In addition, business travel itself can foster innovation, due to the knowledge transfer that can occur through the temporary movements of business travellers. Much supply-side innovation in business travel and business tourism is driven by changes in demand-side factors, taking into account factors that influence participants' level of satisfaction with their business events or individual business trips. Examples of recent demand-side changes would include increased focus on the leisure opportunities provided by business tourism destinations and business tourists’ / business travellers' attitudes towards the use of the social media before, during and after the events they attend. The changing needs of business travellers and business tourists as drivers of innovation. All abstracts’ and papers’ submissions are done through ATLAS. The deadline for abstracts’ submission: October 15th, 2012. The notification of acceptance: October 30th, 2012. The full papers’ submission deadline February 11th, 2013. The ATLAS 2012 Business Tourism Conference will be hosted by the Università della Svizzera Italiana (USI, http://www.usi.ch/) at its modern campus in Lugano, Switzerland. The event will be held in the dynamic and proactive environment of this young University, founded in 1996. Since 2003, when the Master Programme in International Tourism was launched, the University has been constantly developing its tourism interests. This innovative Master program goes beyond the limited focus of some professional masters courses, by proposing a transversal and interdisciplinary approach on the university level. The tourism research focus of the University is guided by two institutes: the Institute for Economic Research (Faculty of Economics, led by Professor Rico Maggi) and webatelier.net (a laboratory of the Faculty of Communication Sciences, directed by Professor Lorenzo Cantoni). The subject of business travel and business tourism is firmly established in the university. Adding to its wide range of existing courses, the Master program has recently introduced a course on Business Travel due to the increasing relevance of this field for the tourism industry. The course is delivered by Rob Davidson, visiting professor from the University of Greenwich, London. Further involvement of the University in business travel and tourism comes in the form of the Master students in International Tourism attending the largest European annual conference of business travel professionals, ACTE (Association of Corporate Travel Executives). In addition, a newly launched program is currently available for outstanding students of the programme, who are mentored by the business travel industry professionals. 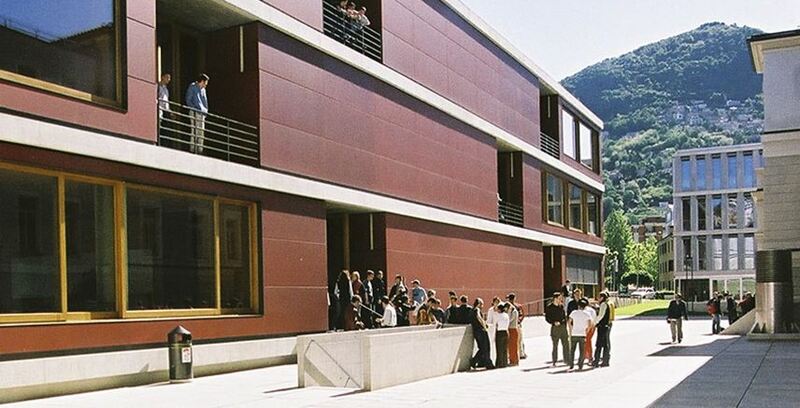 The faculties of Economics, Communication Sciences and Informatics of the university are located on the USI campus in Lugano. The University is located within a walking distance from the city centre as well as from many hotels (10-15 minutes) making it an easily accessible conference venue. Moreover, the city provides an excellent system of public transportation. All University rooms are provided with up-to-date AV/computer equipment and Internet broad band access. A wireless Internet connection is available throughout the campus. Switzerland is well-known by business travellers, as well as by leisure tourists, for the high quality of its tourism services and its variety of tourism offer. Besides being the third financial centre of the country, Lugano is rising in importance as a key business destination in the region. Lugano is located in the southern part of Switzerland, in the canton of Ticino. It is the largest and most important town in Italian-speaking Switzerland, and has always been a bridge between the Mediterranean and the Northern part of Europe. The town, located on the spectacular Lake of Lugano, is a major centre for tourism, trade and culture, being the third largest financial centre in Switzerland and an important conference destination in its own right. Lugano is characterized by a blend of Swiss precision and Mediterranean hospitality and climate, a combination which guarantees visitors an unforgettable and successful experience in terms of quality and enjoyment. The city is increasingly focusing its attention on conferences and international events, by promoting its unique landscape, accessibility and excellent level of security. Due to its favourable geographical location, the city can be easily reached. In addition to efficient rail connections, Lugano has its own airport located just a few minutes from the city centre. However, Milan-Malpensa International Hub which is reached by international flights from all over Europe (including low-cost carriers) and other continents is situated within a 1-hour bus drive. Train connections between Milan and Lugano are also available. Another airport in close vicinity to Lugano - Zurich Airport - can be reached within 2,5 hrs by train. As soon as ATLAS has confirmed your registration, you are obliged to pay the conference fee. If written cancellation is received on or before December 1st, 2012, a refund of all meeting fees will be made, minus an administration fee of € 50. The above rate is per room per night. For those who would like to stay for 4 consecutive nights, the last night will be offered for free! For both hotels, bookings must be made at least 4 weeks before the conference. The leisure programme of the conference starts on Sunday with a boat tour. The Lake of Lugano offers a wide range of enchanting places to visit, with panoramic views of its splendid banks and breathtaking scenery. The excursion is followed by welcome aperitifs/dinner. The conference programme starts on Monday morning and lasts for 2 days, ending on Tuesday, late afternoon. The gala dinner is planned for the Monday evening in the capital of Ticino, the city of Bellinzona, inside one of its UNESCO heritage castles. The growth of tourism in Lugano in the past few decades has been accompanied by a great deal of town planning and architectural change, respecting the landscape and the natural qualities of the land. As a result, Lugano itself has a wealth of tourist offerings, to satisfy every type of visitor. For longer itineraries starting from Lugano, it is easy to reach the most beautiful Italian art cities, such as Milan, Florence and Venice. It is possible to travel to Milan within 1 hour. In 4 hours, both Florence and Venice can be reached by train.